ANE-GoogleCloudStorageUpload is a native extension to upload data to binary file Google Cloud Storage with HTTP POST on iOS and Android. The extension provides the developer with simple methods to upload some file by type, such as image, videos or binary. In order to upload a file, the developer must inform the path where the file is located in the local file system, the upload URL and some file specific parameters, such as the max length of a video. For every upload method, it’s possible to inform a callback that is invoked during the process, reporting important events such as errors or the upload progress. 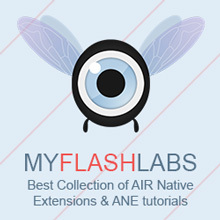 Air Native Extension, Android, iOS Apache 2.0. URL. @as3gamegears Is there any ANE for APK Expansion Files?